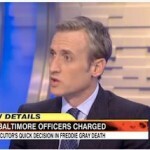 Mediaite founder and ABC News Chief Legal Analyst Dan Abrams was on Good Morning America Saturday to weigh in on the charges brought against six Baltimore police officers by Maryland State Attorney Marilyn Mosby in the death of Freddie Gray. 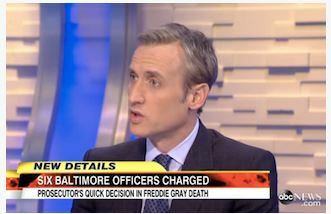 Asked if he thinks the charges will “stick,” Abrams said he had his doubts. “I think there are going to be some very powerful defenses here,” Abrams predicted.